The 2018 iPad Pro and Apple Pencil. 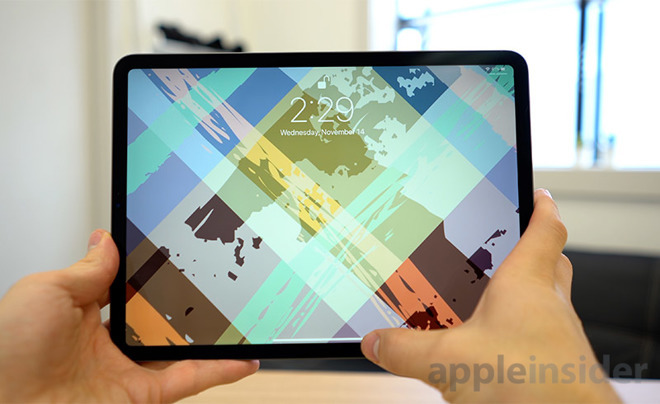 Despite its many benefits, there are a few major issues with Apple's latest tablet, and we have selected five problems to highlight in hopes that the information can help potential buyers or upgraders make a final decision. The first problem is less of a hardware shortcoming than one of software annoyance. Apple implies that the iPad Pro can replace a notebook, but it's missing one key feature that serves as the backbone of any full-fledged computer, and that's full hard drive support. 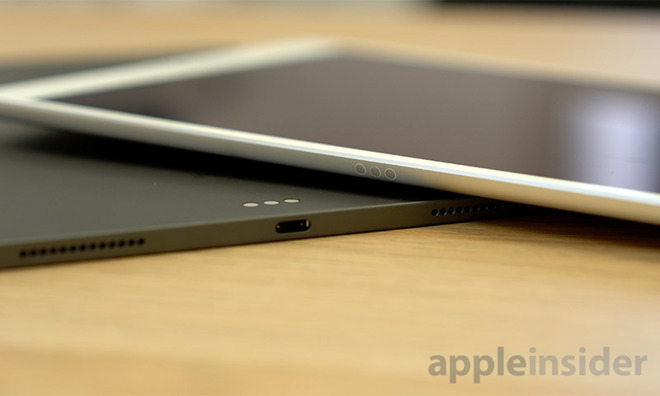 Apple built in only limited support for external hard drives for iPad Pro's USB-C port. If you're a professional using a notebook, chances are you're going to be moving files back and forth onto a flash drive or other external storage. While it can connect to such hardware, the iPad Pro can only detect photos and video from these peripherals. To make the situation worse, you have to import image files into the camera roll, which in some cases can trigger an automatic synchronization with iCloud. While there is Apple's file manager app on the iPad, it is extremely limited with users unable to simply drag and drop files with the same level of ease as they would on an notebook. For videographers who archive tons of video footage and projects to hard drives for safe keeping, you just can't do that on the iPad Pro. 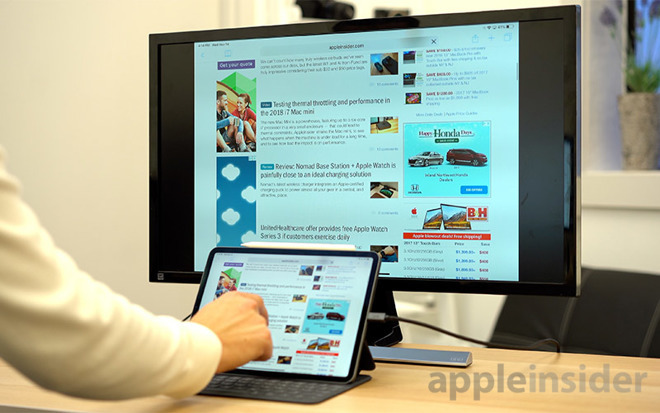 Apple touts iPad Pro's ability to connect to an external display, just like a MacBook, providing users with a larger working area. MacBooks also get clamshell mode, which basically allows you to put the MacBook aside and work with a mouse, keyboard and a bigger screen. iPad Pro can mirror its display to an external monitor, but a lack of input peripherals hurts the experience. On the iPad Pro, there's no mouse support. 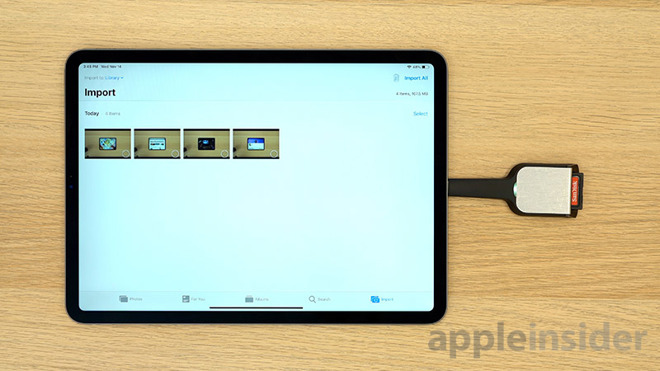 Even though you can connect to an external display, you still have to hold the iPad in your hands and look down to control it. Apart from that, having a trackpad or mouse is another fundamental requirement to making a computer a computer, as it's much quicker and easier to navigate and move files around. There are so many things on a computer that are tough to accomplish with touch controls alone. iPad Pro does offer limited cursor control through a two-finger gesture on the soft keyboard, but its implementation is a far cry from a dedicated touchpad. The third problem is that the 2018 iPad Pro is the first iPad ever to ditch the headphone jack, and to be honest, I thought that Apple would keep it around for at least a couple more years. 2018 brings a relocated Smart Connector and headphone jack deletion. I personally have moved on to Apple's AirPods for my audio needs, which is one of my favorite Apple devices, but there are still a lot of professionals who rely on wired headphones and audio equipment to do their work. Sure, removing the headphone jack does help make the iPad Pro even thinner, but how think does it really need to be? 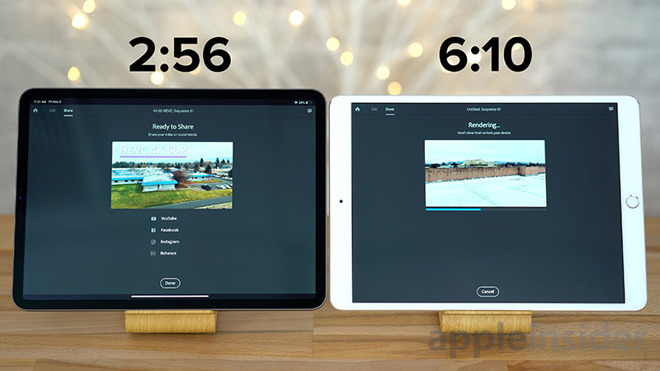 The iPad Pro packs in an astounding amount of processing power, doubling the benchmark scores of the 10.5-inch iPad Pro in multiple tests, and even exporting a 4K HEVC video in less than half the time. Here's the issue: that power is going to waste. Almost every single app already felt incredibly smooth on the 10.5-inch model, so it's gonna be hard to feel that extra speed in day to day use. Yes, you may notice a difference with demanding software such as Adobe's Photoshop for iPad, arriving next year, but there aren't that many apps like Photoshop in the iOS App Store at the moment. As said earlier, the limited Files app and other restrictions are holding the iPad Pro back from its full potential. With A12X Bionic now in service, we hope developers start to tap into the chip's raw power to deliver more powerful apps for iPad. The fifth and final issue is the limited amount of storage and RAM you get with iPad Pro's base configuration, which is still priced at a hefty premium over competing hardware. iPad Pro in landscape orientation. The 2018 iPad Pro now starts at $799 for the 11-inch model, that's $150 more than before, and it still comes with only 64GB of storage. If you're a professional that's drawn to the high level of performance that the iPad Pro offers, 64GB likely won't be enough storage for you, especially if you have to import photos and videos directly to disk instead of working off of an external drive. Upgrading to 256GB will cost you an extra $150, and 512GB costs $350 more. If you're looking for 1TB of storage, be ready to pay almost double the price of a 64GB model. Add to that a $130 Apple Pencil, which is required since the 2018 iPad Pro is not compatible with first-generation Pencils, and you're looking at an eye-watering out-the-door price. Apple said that the 2018 iPad Pro is faster than 92 percent of all portable PCs, and while that may be true, the base model only comes with 4GB of RAM. A lot of professional apps can benefit from a decent amount of RAM, especially when multitasking. Yes, the iPad Pro technically outperforms last years' specced-out 15-inch MacBook Pro in Geekbench 4 testing, but even the base 15-inch model came with 16GB of RAM. You can go from 4GB to 6GB of RAM on the new iPad Pro, which is nice, but to do so involves upgrading to the 1TB-capacity model for an extra $750. Don't take this all the wrong way, as the new iPad Pro is certainly the best iPad and tablet ever. 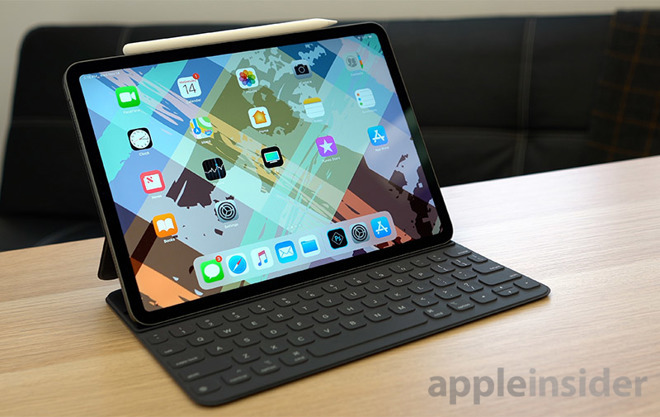 It revolutionizes the form factor, so much so that if you're planning on upgrading to a new iPad Pro within the next couple of years, it could be worth upgrading straight away. The sticking points listed here are meant to inform buyers so they're not blindsided when they take their shiny new device home, only to find something isn't quite right about their new purchase. Those looking for an iPad Pro right away can also shop in-stock models at B&H Photo and Abt.com with no sales tax collected on orders shipped to most states*.